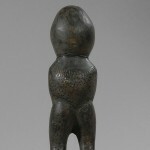 This is a Lega standing male figure without arms that is known as Iginga figure and used by members of the Bwami Society. 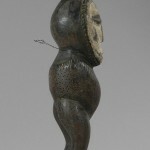 The figure shows evidence of use for an extensive period of time. 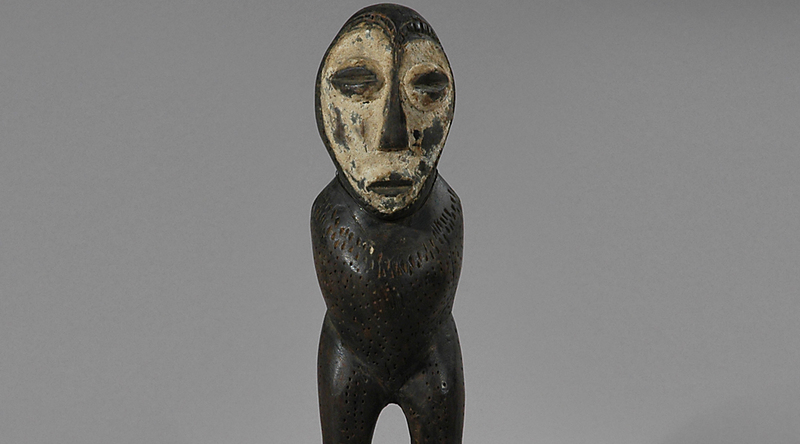 The arts of the Lega (Warega) are well-known by collectors, and highly regarded for their naive, abstract appeal. 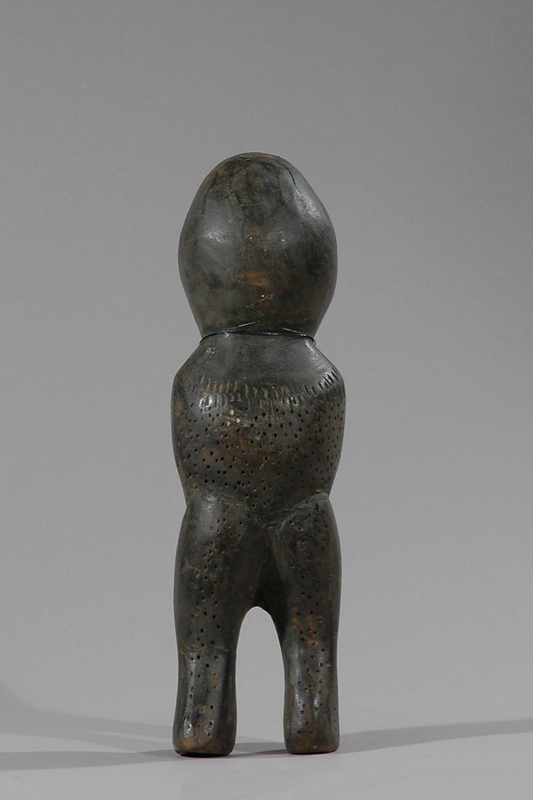 The bulk of Lega artistic output is reserved for use by and for members of the “Bwami” Society. 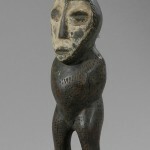 Figures representing humans, like this large “iginga,” with or without arms are used in the higher levels of Bwami. Bwami is a complex organization consisting of multiple levels, and is open to both men and women. Bwami society forms the essential component of political, social, and religious life of the Lega. 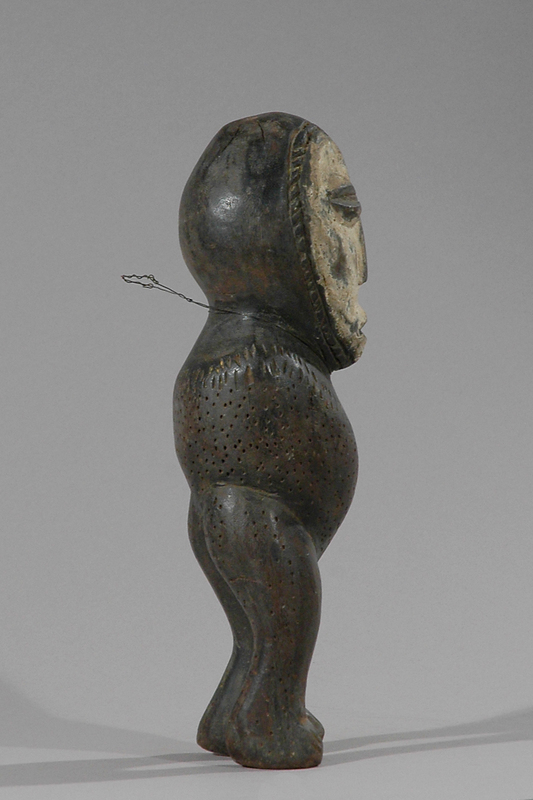 Within Bwami, artworks are used in conjunction with proverbs, anecdotes, and performances to form complex, layered metaphors which teach moral values. 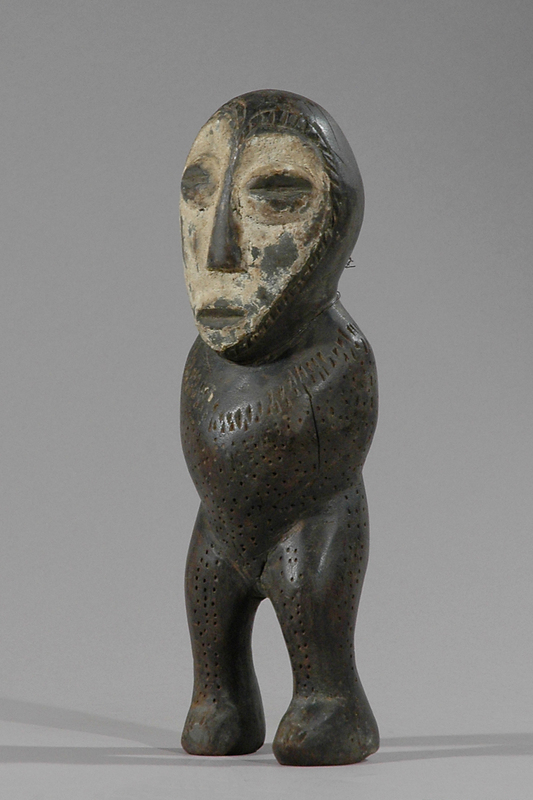 These figurines are often part of an initiation basket owned collectively by a clan, and used in the ritual display of objects in the Lutumbo Lwa Kindi ceremonies. 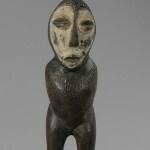 Provenance: Private Danish collection. 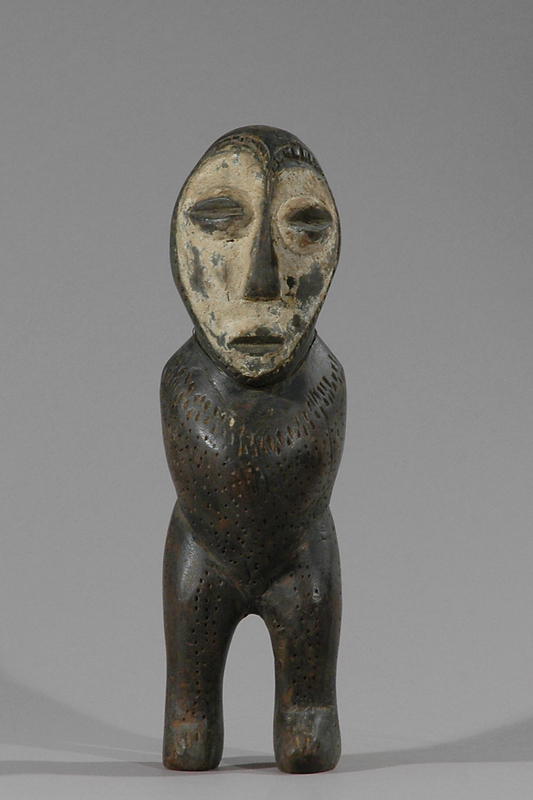 Bought in Paris in the 1970s.